When you imagine your dream job, what comes to mind? A boss who respects your ideas and values your input? Coworkers who are collegial and kind? Work that is challenging and aligns with your passions? Now, what about where you work? Wouldn’t it be awesome to not have a soulless commute into the workplace each and every day, but rather to work from wherever you wanted, when you wanted, as it fit in with the needs of your day? That’s what having work flexibility is like. Whether you fancy a flexible or freelance job, a telecommuting or job sharing position, having the ability to earn a paycheck without paying an emotional price for it is what more and more job seekers are looking for. That might explain why about 90% of the U.S. workforce would like to work remotely at least some of the time, according to 1MFWF supporter Global Workplace Analytics. 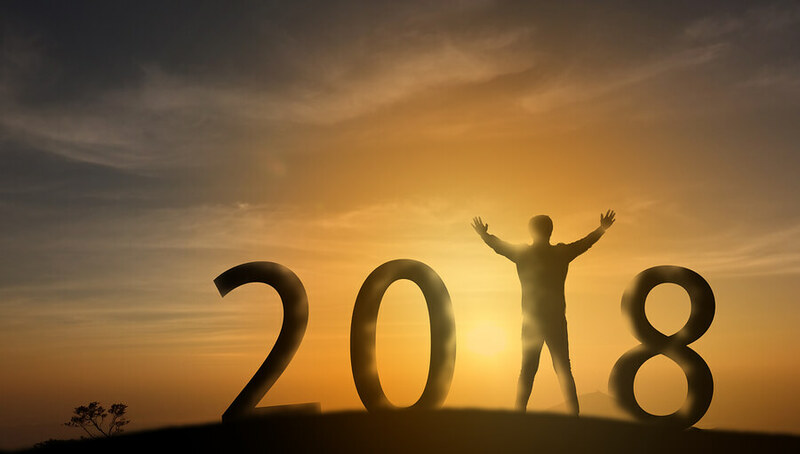 If you’re ready to make 2018 your year for flexibility, freedom—and happiness, here are some tips to make that a reality. Big box job search sites might yield tons of job listings, but do you really have the time to wade through postings for jobs that aren’t flexible? To save time (and a whole lot of frustration), using a site such as FlexJobs means that you can find handscreened, legitimate flexible jobs—sans job scams. You might have a job that you really like—but not your daily commute. If that’s the case, you might not have to launch a new job search. Think carefully about your job to see what parts of your position could be done remotely, and then schedule a meeting with your boss. You might be able to work from home a day or two to start, until your boss gets used to you working remotely. Turning your 9-5 job into a flexible job can be one of the easiest ways to attain work flexibility. For more help, check out 1MFWF’s downloadable step-by-step guide on How to Ask for Work Flexibility. If you’re already a reader of 1 Million for Work Flexibility, then you know that flexible work options can put you on the fast track for work-life balance. So consider officially joining the movement for everyone to have the option to work flexibly. You can also sign up to receive our monthly newsletter which is chock full of fun factoids, tips on how to attain flexible work, and other pertinent information about the advancement of flex in the workplace. What kind of work flex do you need in 2018? Three randomly chosen commenters will each win a free 30-day membership to FlexJobs with access to almost 34,000 jobs from 4,600 companies. One winner will also win a free audiobook of Katrina Alcorn’s powerful and brave memoir, MAXED OUT: American Moms on the Brink. (Hear more from Katrina by watching our recent webinar: Juggling Work and Family as a New Parent: More Joy, Less Stress). Please note that by entering our contest, you will be added to the 1 Million for Work Flexibility count and will receive occasional news, updates, and information related to work flexibility (you can unsubscribe at any time). Winner will be chosen by a random drawing after February 1. You’ll be notified by email if you win (so make sure you leave a valid email address in the comments below!). The kind of work flex I need is a new long-term or permanent part time gig I truly enjoy. The flex job would allow me to work hard for an employer while still having more control over my schedule. If I were king of the workplace….all employees, including managers and supervisors, would choose their own hours and work location; managers and supervisors would evaluate their employees based on outcomes; and the traditional 9:00 am – 5:00 pm, 40-hour work week would be an option for employees, not a requirement. I need a work flex opportunity that builds on my experience (30 plus years of lawyering), my talent (writing), self discipline and creativity and allows me to contribute to an organization or effort that aligns with my values. I have a lot to offer, and great energy, but wish to work fewer hours and have the opportunity to take leave for travel at times. I would love to find a full-time or part-time job with an employer and stop freelancing. I love working from home but freelancing just isn’t what I am looking for. I have learned many different skills and new software applications but would like to contribute more to a company. The type of flex work I need in 2018 is to be valued for the quality of my work, not the 8-6ish M-F standard with rush deadlines assigned over a weekend or holiday. The new buzz word within my organization is “high capacity.” If you take on a lot of projects, you are seen as a contributor. Flex work to me is contributing work that adds value not throw away tasks that keep us busy. Punching a clock and sitting through mindless meetings became the norm. What if you can deliver what is needed and do it from home or on your own schedule. The work still getting done. I need 2018 to be about setting limits and delivering results! I will provide xyz to you at the abc date. Don’t worry about when or where I get it done. Just that I get it done right and on time. I’m looking for a position that will allow me to work from my home or when I’m away. Either in a virtual classroom or writing. Currently a contributor to thedailyreader.online I am very organized and great at prioritizing what needs to be done, I pride myself on getting work done or time or before the deadline. Working from home is my ideal position. As an empty nester I have no real distractions any more in the house. I want a professional writing, editing or communication strategy PT position. First is family, being able to have breakfast with my family and then take my boys to school. It not only saves us money but having as much time together and opportunity to parent and love on them. Number two, traffic ,TRAFFIC, TRAFFICK!!! !, did I mention traffic. I know it’s not employers fault most city infrastructures cannot handle modern population explosions and that is not going to ever change in my city. Not to mention my attitude is so much better when my commute is from the bedroom to the coffeepot to the office, and I am not mad at a bunch of people because of traffic. I am graduating from college in May 2018 and will be entering the workforce upon graduation. I am nervous about this because many employers are still not as flexible as us work flexibility supporters would like them to be. Because of my medical problems, I need a work flexible position where I set my own hours, have enough sick time to care for myself and my medical needs, and do not need to work 40 hours per week in the office in order to earn a full-time salary. Our societal ideal of constant efficiency is detrimental to our minds and bodies and must be changed! I need a part time or wfh job that allows me to use my experience in project and program management while also giving me he flexibility for work/life balance. One that requires less hours! I’m a certified coach and will appreciate a job I can do from where ever I am and when I want. I’m very professional in everything I do and will deliver quality work. re : contest; I’ve spent 3 years providing over the phone and over chat client care/support. When working from home it was overnight and via chat. My job no longer exists in my area, but I particularly miss the extra hours a week with no commute that I could then spend with my family. I would very much dig a weekly 4×10 situation working on my PC from my home office, doing tasks suchlike and having a salary in the same or similar ballpark to what I had and noe have not. The flex job I desire is something that I can decide when I work and where I work from, no matter if I am in the States or somewhere else in the work. I am a hard worker and very loyal so I would like to get that type of respect and freedom from my empoyer. I would like ajob on healthcare management and training job,that allows me help in healthcare marketing strategy and in training ,curriculum design and development for organizations globally. I definitely have the usual answers for wanting a flexible job: providing additional income for our family, being able to be available for my family without sacrificing my work responsibilities, and wanting to utilize skills I have acquired from previous positions as well as my Master’s degree study. I also love learning new things so such opportunities would allow me that as well. But I really would like to freelance. It would allow me the opportunity to become an authority in what I can provide to a client. I can work as much or as little as I want and/or as my life would allow. I also want to show my three daughters that if their mom can succeed in business and be her own boss, they can achieve the same thing. I’ve done 9 to 5 in a big organization with a small child whose needs didnt fit into 6-9pm. I’ve had 100% virtual work at home with no human interaction. I believe now that a combination of both is truly best. If on a particular day, the weather or family needs keep me from doing my best in the office, then I should be at home. If I’m sick but able to work, home NOT infecting other people. If I do my best work at 9pm then its in everyone’s best interest. Ideally 2 days office, 2 days home, one day off. BAM. I need to get telecommuting approved. I want to be able to work from home 1-2 a week. I commute for almost 3 hours a day and am a mother of three young children. It is very challenging to stay on top of my game both at work and at home if I’m exhausted by mid-week with no ability to work from home at least once a week. It would keep my productivity high, and would give me the opportunity to have more energy to spend on my daily tasks. My work place doesn’t allow for telecommuting, unfortunately, despite the fact that I have made official requests a few times. I am hopeful that my work place will at some point consider the great benefits of providing flex time to its employees as needed. I’d like a flexible product or project manager position in the web or software industries that allows me to work from home with flexibility in my hours. I have demonstrated experience managing remote teams and think this is an ideal and productive way to manage small to mid size projects! The type of flex that I would like is to work whatever hours that I want, wherever I want, as long as fulfill my hours/job requirements. I have three children, all on the Autism Spectrum. We have school and activities, appointments and therapy. I already work from home most of the time but it’s a set 8-5 shift. Other parts of my life also occur during the normal 8-5 hours, so either we miss out, I have to miss work, or arrange for my husband to fill in. It would be nice to work, say, 8-12, take a few hours off, then work 3-5, be off for what I need to do, then log on late to finish up. My ideal flexible job would allow me to work part-time whenever I want, either during the day or night. Sometimes I feel more energized at different times of the day, and would want to do my best work at that time. I would like my work to be varied between creating graphic designs and writing articles that would benefit others, either visually or through ideas. Since I also like to do research about healthy living and the environment, I would be most happy creating artwork about the healing aspects of nature and writing about how pollution is harming our environment. It would also nice to be able to live in the country, away from the city, with lots of trees and a garden, where I could have flowers and animals and sit outside in the summer and draw. My ideal job could be for a company seeking creative art work and articles about nature and a healthier way of life. The kind of work flex I need in 2018 is one that would allow me to work from anywhere. My husband and I are moving to the Czech Republic, so being able to work remotely and on a flexible schedule is extremely important. In addition, I am learning new skills as a Visual Designer, so as someone changing careers, I would probably need to start out with freelance gigs. Lastly, I want to be able to balance work and family, and I believe that is easier to do when working from home. Flex work would be a dream. I’m looking now and trying to find something that provides me flexibility on where and when I work. I need a FT gig but want to spend hours with my family instead of commuting and have the flexibility to take kids to the doctor or volunteer at the school. I would love flexible administrative work including transcriptions that I can do on a part to full-time basis. Administrative work is something I have been doing for well over thirty years and I am not only very comfortable doing, but also very good at it. I already have a fully equipped office that I work out of in my home. I just need/want more work. Having flexible hours per day/week would be absolutely awesome because due to health issues, I can not work full-time outside the home any longer and when necessary, I have to take time to rest. I would love to be able to combine my passion for public service, my 15 years of solid work history and my MPA degree in a flexible home-based position that will allow me to reduce my daily commute, be able to pick up and drop off my kids from school and their activities and provide care giving support to my disabled husband. I love working full time and need to do so to support my family. With the flexibility of working from home, I can still work and support my family at the same time. I would love a part time medical billing job where I can supplement my husband’s income but have flexible hours. I have 2 children that I want to raise, not put them in some day care. I am hard working and I have the follow through necessary to do the job! Some the of the job would require working during the day (for contacting patients and insurance companies, etc.) and I’m fine with that. I would like the opportunity that when something comes up during the day, I can participate and then log on later (or even “after hours”) to complete the work that needs to be done. A: I am a 54-year-old widow with health issues and very much need a flexible work-from-home job so I can support myself. After months of searching I’ve finally found what I intended to find: a high-paying job that I can essentially work from home, on my own schedule, so I can also pursue my home-based music career and be there for my kids and husband in the afternoons/ evenings/ weekends. The answer? (NO, not real estate – been there, done that). An independent contractor sales job with a great startup company poised to take over the market. While I was originally looking for another marketing or writing job, this product and company are something I’m really excited to get behind, and my background in marketing and sales suits me perfectly for this job. So don’t be afraid to look outside your usual comfort zone for flexible work. And know that startups are the most likely to hire remote (see angellist, weworkremotely, and many other remote job sites). They know they can keep their costs down while paying their employees better. I am looking for a flexible job where I can make a valuable contribution to an organization by utilizing my talents at the times where I am most creative and productive. Working in government, most jobs other than in the IT field, working from home is seen as taboo and I would love to show how I can be more productive but having a flexible job, free from distractions where I can use my talents and abilities to produce valuable results for an organization. The kind of work flex that I need in 2018 would allow me to use my writing, accounting and research skills in a flexible remote position. I live in a state where normal drive time is over an hour one way to work and it can be much longer when it rains or there is an accident. I would love to work from home or at anywhere I choose to be and have the ability to work the hours that I want to work. I am semi retired, but my social security does not provide adequate resources to live a respectable life. Additionally, I could use the time to complete my doctoral degree and help others accomplish their dreams. I want to give back to a world that can use a little help. Working a flexible job would be ideal. A flex job will give me the opportunity to work from my house and be with my dog all day long. The flexibility that I need comes down to being able to work from home most of the time. My current position allows work from home on an as-needed basis. I am so much more productive both professionally and personally when I work from my quiet home instead of a noisy office. Stress is reduced because I can roll out of bed and into work instead of having to deal with a morning commute to the office. My dream is to use my education, talents, and creativity to help others be successful. Work flexibility in the past would’ve been nice, but was never even considered at my on-site dream job. I have a new dream! In 2018, my family needs the work flexibility to be able to make a move across the country to be nearer to our family, and I also need the work flexibility to be able to continue to work from home so I can be with our kids. When we moved to rural northern New Mexico my husband and I didn’t have any children yet, now we have a one and two year old and family has naturally become a greater priority. It just makes sense in this day and age where it is possible to do so much work remotely to keep up with the pace of workers lives as well as save your company assets by having any positions that can be done remotely or mostly remote done in that way. Thinking outside the cubical! Successful employees are happy and fulfilled employees in every aspect of their lives, some of the most forward-moving companies know this. I’m currently a marketing manager for a real estate company. 90% of what I do is on a computer including managing multiple artists that work from home along with other writers and PR that is also done from elsewhere. I also do editing for a biotechnology institute remotely a few times a year. I’m going to be moving to a different city soon, which means a new job search in that location. But I would prefer to work from home for multiple reasons: Work/home life balance; less time spent commuting and more time spent working; Less chit chat around the office, therefore more productivity; Ability to work from another town so that I could visit my mother and spend evenings with her while still working during the day; better integration of work into personal life. Instead of getting through a work week in order to get to the weekend. I don’t want to say “TGIF”. I want to enjoy everyday at work or otherwise. I need the kind of work flex that allows me to work from home (or really anywhere I choose) and the hours that work for me and my family. A flexible work schedule would not only allow me to care for my family better, but allow me to take care of myself better (fitting in a workout, eating healthier foods). A flexible work schedule would allow me to be more present for my child and be there for her when she gets out of school. A flexible work schedule would mean less frantic mornings and evenings, but more productivity during the day as well. Overall, it means more freedom to live the life I want to live.